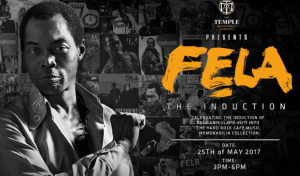 Fela to be inducted into Hard Rock music memorabilia collection – Royal Times of Nigeria. 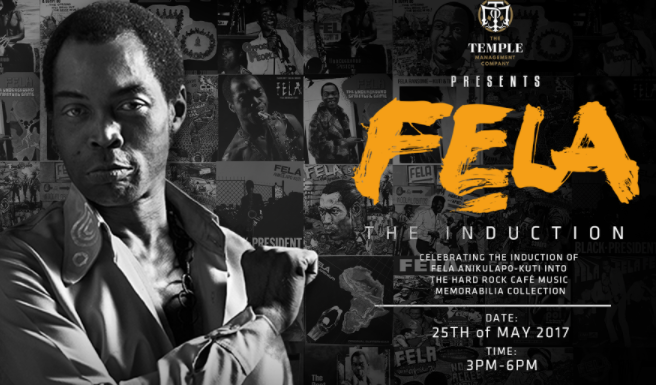 Fela Anikulapo Kuti is set to be inducted into the Hard Rock Cafe music memorabilia collection on Thursday, May 25.The induction ceremony will coincide with the 20th anniversary of Fela’s death. The Hard Rock Café induction is being organised by talent agency, Temple Management Company, months after brokering a similar donation by juju maestro King Sunny Ade (KSA). according to report gathered Fela Anikulapo Kuti ‘s children, Yeni, Femi and Seun Kuti will present costumes worn by Fela, including pieces of clothing and shoes to representatives of Hard Rock International in Lagos.